Susan has been reading this book. She recommended it for December. To avoid Christmas week, the December meeting is in just three weeks. Susan said the book is about 300 pages and not a detailed read. The audiobook is 13.5 hours on Audible. I'm not sure why it is so long for a 300 page book. There is a Young Reader's version on Audible read by Vanessa Redgrave. 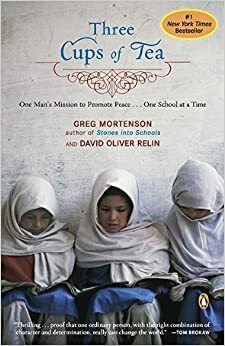 Before choosing the book we knew of some tax and other money issues with Greg Mortenson, the Three Cups of Tea author, but this article is scathing. http://www.thedailybeast.com/articles/2013/04/08/is-it-time-to-forgive-greg-mortenson.html. There are other authors who are manipulating the truth for their own benefit.